DraftLogic Electrical is featured in the Canadian Consulting Engineer magazine June 2012 issue. We are pleased to announce that DraftLogic Electrical has been selected as a Constructech 2012 Commercial Top Product! The Constructech Top Products honor technology solutions that have demonstrated the greatest innovations geared toward the commercial construction market. The editorial team at Constructech magazine judges submitted entries, and determines the winning products based on various criteria. The criteria include the product’s overall usefulness and uniqueness to the construction industry as well as customer growth rate during the past few years for the particular product. "We truly believe these to be some of the best offerings found in the construction marketplace.” says Mike Carrozzo, chief editor, Constructech. See the Constructech press release for more information. Edmonton, AB – October 27, 2011 – DraftLogic Inc., creators of the DraftLogic Electrical expert system for vastly increasing building electrical systems design, are pleased to announce the integration of DraftLogic Electrical with ConEst IntelliBid. “We’ve been on the edge of our seats waiting for the opportunity to announce this exclusive integration of our latest release of IntelliBid, version 7, with DraftLogic Electrical”, says George Hague, President and CEO of ConEst. “This integration between ConEst IntelliBid and DraftLogic Electrical is the only technology of its kind available to contractors in our industry. This game-changing technology is ground breaking and revolutionary and promises to dramatically change the way contractors design electrical layouts and generate their bids”. Generate complete building electrical system layouts and more bids in less time with greater accuracy than ever before with ConEst IntelliBid v7 and DraftLogic Electrical! Electrical engineers with a combined total of over eighty years of industry experience joined forces with one of the most experienced Autodesk® development companies in North America to build DraftLogic Electrical on top of design industry leader AutoCAD® and relational database leader Microsoft SQL Server®. ConEst Software Systems is a privately held corporation headquartered in Manchester, New Hampshire serving customers worldwide since 1989. ConEst is the leading provider of a fully integrated suite of construction software solutions for digital takeoff, estimating, design build, project management and billing software to the electrical, data cabling and low voltage contractor markets. ConEst products incorporate technology and user-friendly, timesaving features that enable their customers to manage the entire construction process from design and bid through project management and final billing to meet the demands of today’s specialty construction industry. Learn more at www.conest.com or call (800)662-7687 for information. DraftLogic will empower your firm to finish projects faster and more accurately at the same time as providing more value to your clients. We do this by building expert systems CAD software to relieve you of repetitive engineering tasks and give you more time to concentrate on high value-add work. For information about DraftLogic Electrical, please visit www.draftlogic.com or email sales@draftlogic.com. This week we put you in the driver's seat about what shows up in the Panel Schedule Service Description field. Not only is DraftLogic Electrical the only expert system for electrical design, it is also the only electrical design software that completely automatically produces the reports and schedules you need! 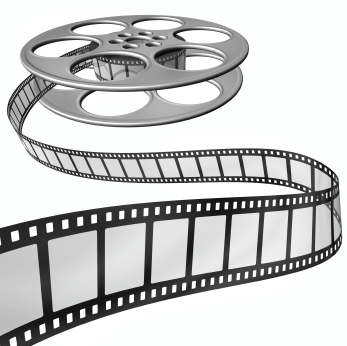 See this blog entry and this forums entry for more information on the new feature. DraftLogic will be at the ConEst booth (#515) for NECA San Diego 2011. The exhibits are open Sunday, October 23 to Tuesday, October 25. We'll be demonstrating the DraftLogic Electrical building electrical design expert system and its ability to send a complete electrical design to the ConEst IntelliBid count sheets to enable an accurate and fast estimate to be generated. NO counting, NO measuring! The complete design includes detail on all feeders, devices, and branch circuit home runs & interconnects. We have posted a 9 minute high definition video walkthrough of DraftLogic Electrical's primary features to YouTube. A quick way to see the high points of DraftLogic Electrical while having a bite for lunch! Be sure to change the video playback to 720p full screen instead of the default 360p tiny window! We have posted a 32 minute high definition video walkthrough of DraftLogic Electrical's primary features to YouTube. For anyone who has not been able to attend our live demonstrations, or wants to share the excitement with coworkers, this video is a well-spent 1/2 hour. 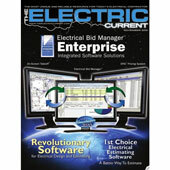 DraftLogic Electrical was featured in the November 2010 issue of 'The Electric Current' magazine. Our article parallels the development of electrical design software with the evolution of the automobile. Perhaps a stretch, yes, but entertaining nonetheless! Edmonton, AB – September 27, 2010 – DraftLogic’s new software applies patent-protected expert system technology to every phase of building electrical design to vastly increase the productivity of designers. Automation of repetitive tasks and tools to assist manual work combine to eliminate thousands of mouse clicks and keystrokes for the designer. A broad spectrum of schedules and plans can be generated in minutes instead of the days it takes to generate them with raw CAD software. Electrical firms using DraftLogic Electrical can thus focus on adding more value for clients at the same time as increasing productivity and delivering more information. Projects completed in DraftLogic Electrical provide a complete Bill of Materials report including conduit, wire, devices, and switch gear with a few mouse clicks—no counting, no measuring, and no scaling! Construction cost estimators can focus on analysis and bid generation instead of tedious data gathering. Estimators using ConEst IntelliBid®can import device counts from DraftLogic Electrical into IntelliBid with a couple clicks of the mouse. DraftLogic Electrical comes ready to run out of the box—it includes a complete CAD standard, over 1300 luminaire definitions, and hundreds of room definitions to support its automation. This differs from other design products that require 100 hours or more of setup before being usable. Learn more about the extensive benefits DraftLogic Electrical can offer your company at our web site, www.draftlogic.com. Electrical engineers with a combined total of over eighty years of industry experience joined forces with one of the most experienced Autodesk development companies in North America to build DraftLogic Electrical on top of design industry leader AutoCAD® and relational database leader Microsoft SQL Server®. DraftLogic Electrical is making its first public appearance at the NECA Convention and Tradeshow in Boston, October 2-5, booth #439. DraftLogic Electrical is compatible with all 32 bit versions of AutoCAD® 2006, 2007, 2008, 2009, 2010, and 2011. Autodesk® vertical products based on AutoCAD, like MEP, are also compatible. DraftLogic will empower your firm to finish projects faster and more accurately at the same time as providing more value to your clients. We do this by building expert systems CAD software to relieve you of repetitive engineering tasks and give you more time to concentrate on high value-add work. For information, please visit our web site at http://www.draftlogic.com or email sales@draftlogic.com.